This week it is all about Survival Gear on the We Grow Ours show, Nick and Don! Tough tested by Tim Ralston of Gear Up. We visit Tim at his store and get to check out some serious gear. 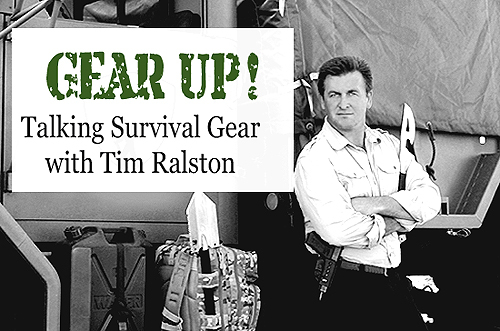 Timothy Ralston, is an American inventor, entrepreneur, adventurer, author, movie and television presenter, and renowned expert in the field of survival and preparedness education. He is best known for his appearance in the powerful motivational film, The Compass, and for being featured on NatGeo’s # 1 Rated program, Doomsday Preppers. Because of Tim’s positive reception and expansive fan-base as a survival expert, he has most recently embarked on a worldwide campaign as a spokesman for the NatGeo series and the “prepper” movement at large.